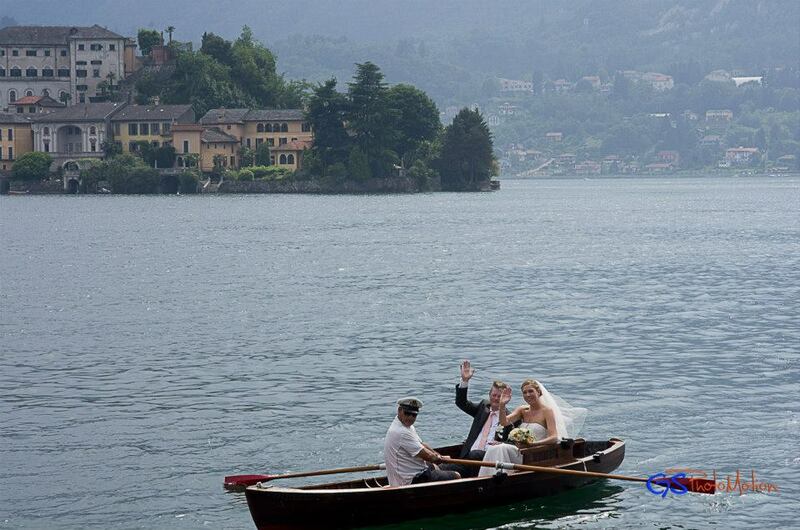 The Wedding Boats are the perfect choice for your wedding receptions, or for transferring guests between onshore wedding venues and Villas along Lake Maggiore. It has been home to elite weddings, fashion shoots and has been the backdrop for films around Lake Maggiore. Forget wedding car hire, arrive in style by boat! 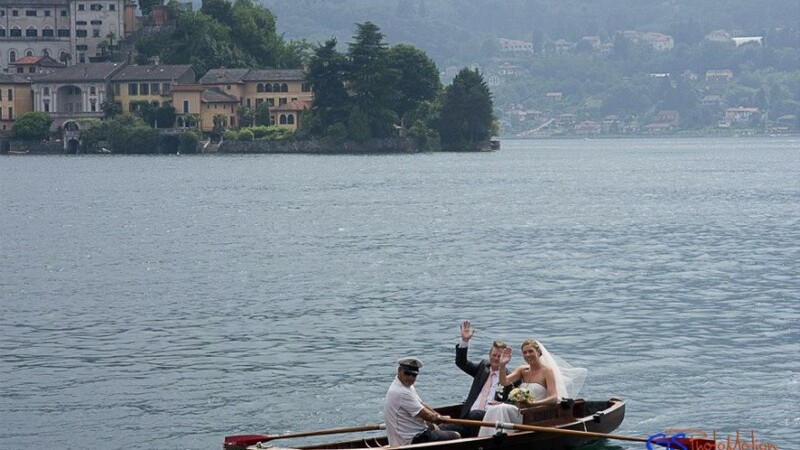 Take a moment to relax on the Lake before the big event as we transport you to your Lake Maggiore wedding venue by deluxe wooden mahogany water taxi. Thrill your guests: Your guests will be thrilled by the unforgettable experience and the beauty of travelling to your wedding by water. We can organise pick up points anywhere on Lake Maggiore which is convenient for your guests. Following the ceremony we would like to take a ‘champagne cruise‘ round the Borromean Islands at sunset. With us this is possible, for up to 100 guests. Looking to hire or rent a boat on Lake Maggiore or Lake Orta?